BLOCKLIVEASIA is a world's first public lifestyle/meets/blockchain festival, which is targeting the average people, young and old. You will be able to learn how blockchain is changing the world, listen to speeches by the best in blockchain, and one of the speakers is our VP – Salina Bo, which will speak about blockchain and its influences on many industries. 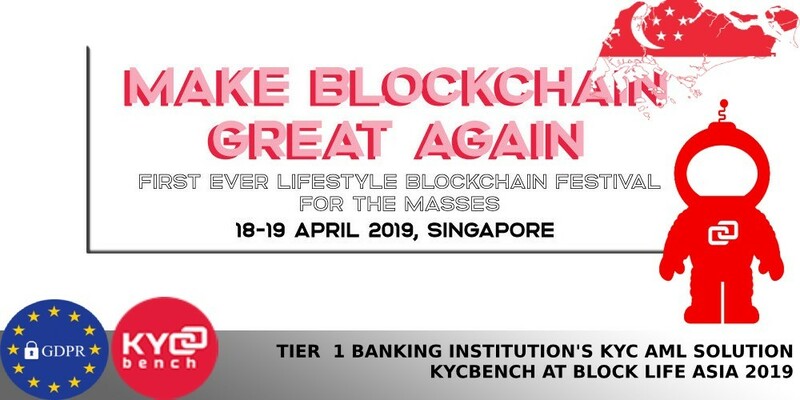 KYCBench team and partners are very excited, as in this festival so much is happening, you just have to check it out for yourself! Moreover, this festival is taking the tired conference world by storm, letting you attend it free of charge. Organisers promise promise to “break down every barrier known to the common man, inviting them to new world, where token is king and blockchain reigns supreme. Meet over 70 projects on the exhibition floor, and throw a few curveballs to the 15 brave projects taking the pitching stage. Projects get to pitch to over 8,000 attendees at their very own booth and gain organic community growth with our live event-wide airdrop”.